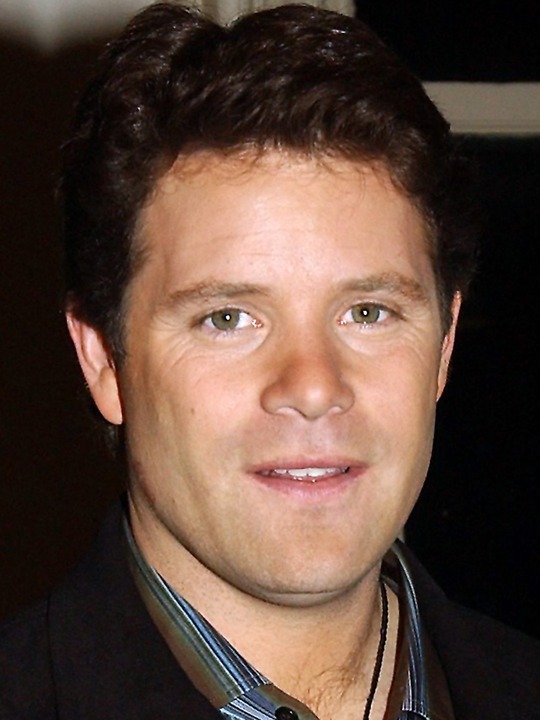 Sean Astin is an American film actor, director, voice artist, and producer better known for his film roles as Mikey Walsh in The Goonies, the title character of Rudy, and Samwise Gamgee in the Lord of the Rings trilogy. In television, he appeared as Lynn McGill in the fifth season of 24. Most recently, he provided the voice for the title character in Disney's Special Agent Oso. Astin also served as campaign manager for his friend, Democratic entertainment industry businessman Dan Adler in California's 36th congressional district special election, 2011. Astin was born Sean Patrick Duke in Santa Monica, California, the son of actress Patty Duke. At the time, it was reported that Desi Arnaz, Jr. was his biological father. In 1994, Astin discovered his father was Michael Tell, a music promoter and writer, and publisher of the newspaper The Las Vegas Israelite. Tell's marriage to Patty Duke was annulled shortly before her marriage in 1972 to actor John Astin, who adopted Sean. In 1973, Duke gave birth to Astin's half-brother Mackenzie Astin, who also became an actor. Although Patty Duke and John Astin divorced in 1985, Sean Astin has written that he has always considered John his "real" father. He attended the Crossroads High School for the Arts and master classes at the Stella Adler Conservatory in Los Angeles. Astin graduated from UCLA with a B.A. in History and English . An alumnus of Los Angeles Valley College, he serves on the school's Board of Directors of the Patrons Association and the Arts Council. Astin's first acting role was in a 1981 television movie titled Please Don't Hit Me, Mom, in which he played a child with an abusive mother (portrayed by his real-life mother Patty Duke). He made his film debut at age 14 as Mikey in The Goonies . Following The Goonies, Astin appeared in several more films, including the Disney made-for-TV movie, The B.R.A.T. Patrol, opposite Nia Long, Tim Thomerson and Brian Keith; Like Father Like Son ; White Water Summer with Kevin Bacon , The War of the Roses ; the World War II film Memphis Belle ; Toy Soldiers ; Encino Man ; and the college football biopic Rudy , about the life-changing struggles and rewards of the titular character, Daniel Ruettiger. In 1994, Astin directed and co-produced the short film Kangaroo Court, which received an Academy Award nomination for Best Live Action Short Film. Astin continued to appear in films throughout the 1990s, including the Showtime science fiction film Harrison Bergeron , the Gulf War film Courage Under Fire , and the Warren Beatty political satire Bulworth . In the early 2000s, Astin experienced a career breakthrough with his role as Samwise Gamgee in Peter Jackson's The Lord of the Rings film trilogy, released in 2001, 2002 and 2003. Along with the many awards bestowed upon the trilogy, particularly its final installment The Return of the King , Astin received many award nominations for his own performance in Return of the King, taking home the Saturn Award for Best Supporting Actor and awards from the Las Vegas Film Critics Society, the Seattle Film Critics, the Utah Film Critics Association, and the Phoenix Film Critics Society. As an ensemble, the Return of the King cast received awards from the National Board of Review of Motion Pictures and the Screen Actors Guild. He and other cast members became very close and very good friends through the filming process. He became particularly good friends with Elijah Wood. Astin's daughter, Alexandra, can be seen in Lord of the Rings: The Return of the King. She plays his onscreen daughter, Elanor Gamgee, that runs out to him as he returns from saying goodbye to Frodo and Gandalf. While working on Lord of the Rings, Astin persuaded a number of fellow cast and crew members, including director Peter Jackson, to assist him in making his second short film, The Long and Short of It. The film takes place on a street in Wellington, New Zealand. The Long and Short of It premiered at the 2003 Sundance Film Festival and appears on the DVD for The Lord of the Rings: The Two Towers, along with a "making of" video. In 2004, Astin released There and Back Again (ISBN 0-312-33146-0), a memoir (co-written with Joe Layden) of his film career with emphasis on his experiences with the Lord of the Rings trilogy. The title is derived from the subtitle of The Hobbit, by Lord of the Rings author J. R. R. Tolkien; the title also appears in the film Fellowship of the Ring and Return of the King. Since Lord of the Rings, Astin has continued to work in film and television. His film roles have included the Adam Sandler comedies 50 First Dates and Click. Astin's career has also expanded to include voice-over roles. He narrated the American version of the Animal Planet series Meerkat Manor, and voices the title character in the animated Disney Channel series Special Agent Oso. His other voice work includes Balto III: Wings of Change and the video game Kingdom Hearts, in the latter of which he provided the voice of Hercules. Astin married Christine Harrell on July 11, 1992. They have three daughters: Alexandra , Elizabeth , and Isabella , all with the middle name Louise. His wife held the Miss Indiana Teen USA title in 1984. Astin has a tattoo on his ankle of the word "nine" written with the Tengwar script, commemorating his Lord of the Rings involvement and his character's membership in the Fellowship of the Ring. Of the other Fellowship actors (Elijah Wood, Sean Bean, Billy Boyd, Ian McKellen, Dominic Monaghan, Viggo Mortensen, Orlando Bloom, and John Rhys-Davies), all have the same tattoo except Rhys-Davies. During the 2004 United States presidential election, Astin backed Senator John Kerry and participated in Kerry's campaign rally in Portland, Oregon, as the opening speaker. In the 2008 presidential election, Astin lent his support to Senator Hillary Clinton and made multiple campaign appearances on her behalf, including joining Clinton's daughter Chelsea Clinton at some stops. Astin is a vegetarian. He attended Catholic school and also practiced Buddhism for a time . Whole or part of the information contained in this card come from the Wikipedia article "Sean Astin", licensed under CC-BY-SA full list of contributors here.